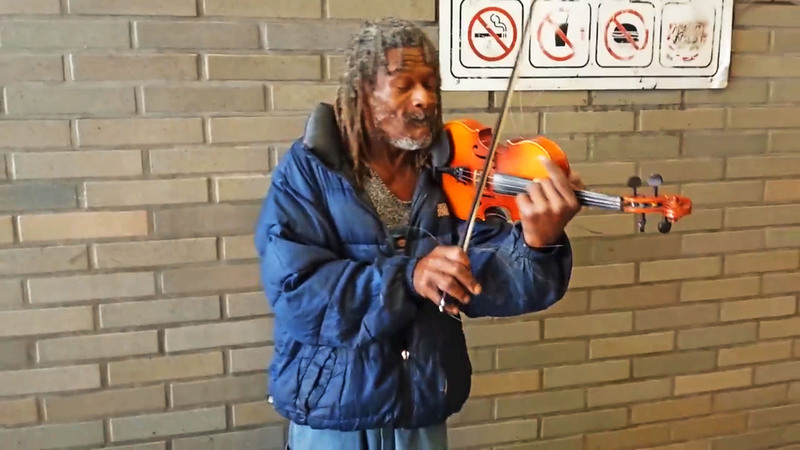 Video: A street musician from San Francisco is pored over in his violin playing. The strings of his violin are torn or stretched. So we hear a very rough materialized sound. 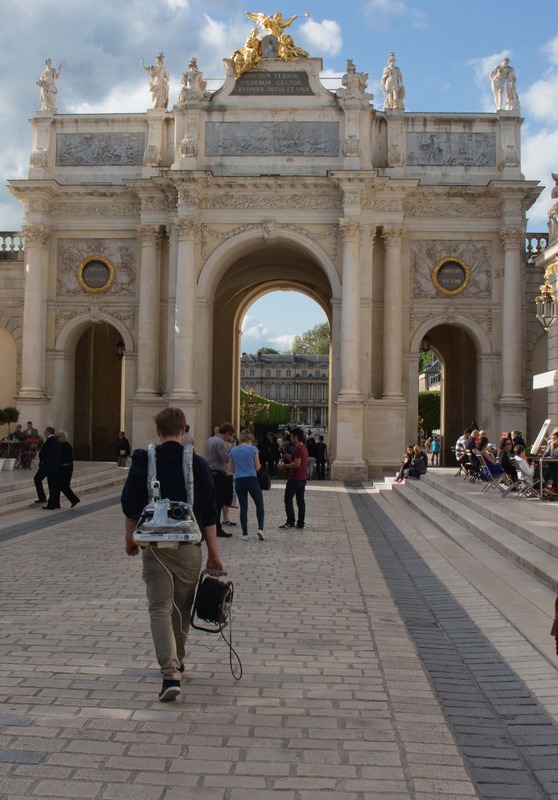 The recorded video is played at half speed to bring the harsh materialized sound into our focus. 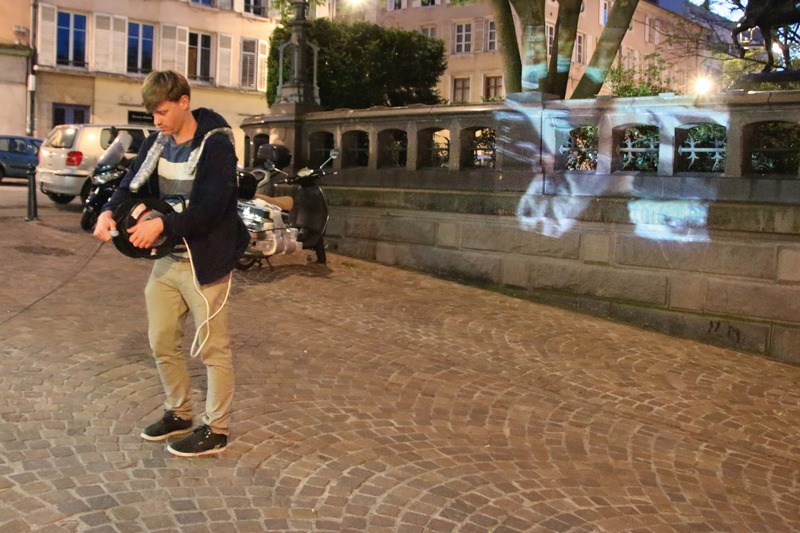 Performance: The mobile video-projection in public space offers a different view of an everyday situation. 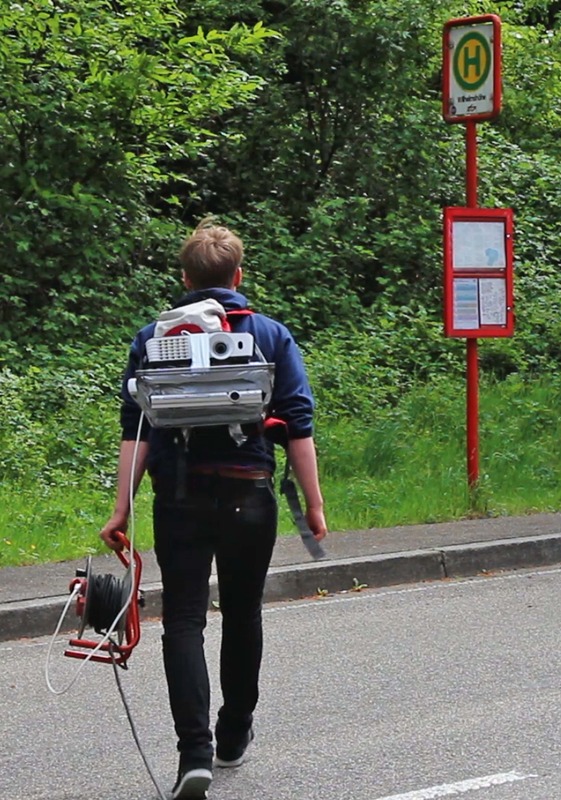 The urban passersby and the architecture becomes the projected surface.